Skype Parental Control (SkypePC) is an advanced Skype call monitoring tool for parental control. It automatically runs with Windows and get all Skype calls recorded invisibly. It can also send the recording results to user through emails. If you are looking for a Skype Parental Control tool, SkypePC is definitely the best choice you should never miss. SkypePC will completely hide itself and the kids have no way to find it. More than that, SkypePC use 2-Step Verification to protect itself from being exposed. This Skype Parental Control tool is somehow overkill. Please do not use SkypePC in any illegal activity. It is highly recommended to try Skype Parental Control before purchase. The trial version limits recording length for 3 minutes. * Important: please read how to setup Skype Parental Control after downloading SkypePC. Automatically records: SkypePC supports to record both Skype audio and video call automatically. More than that, users can use a trigger monitor to start recording by specified program/process. Invisible monitoring: SkypePC won't create any icon/folder in Start menu and desktop. The Skype call monitoring activity is completely invisible. Email recordings: SkypePC can send the monitoring results to user through a preset email address. More than that, users can also upload the recordings to a web server. 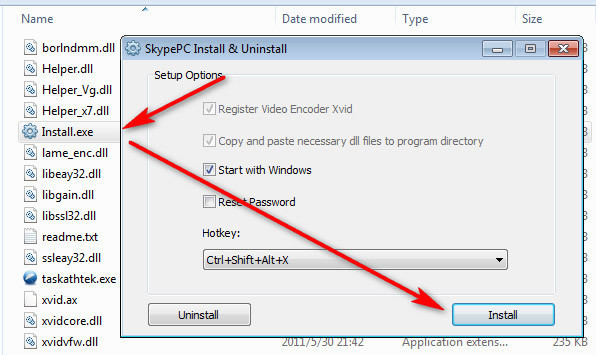 2-Step Verification: If parents want to revive SkypePC onto the desktop, they need to press hotkeys on key board (1st step), and then input the preset password (2nd step). 30-day-money-back-guarantee. No additional fee will be charged! Yes! I want to buy a registration key to register the Skype Parental Control tool. I will take responsibility to all the results in my usage. SkypePC has an easy and clean interface. Even a computer novice can use SkypePC for parental control in minutes. When you have already downloaded the latest version of Skype Parental Control, please unzip it to a secure place on the computer. 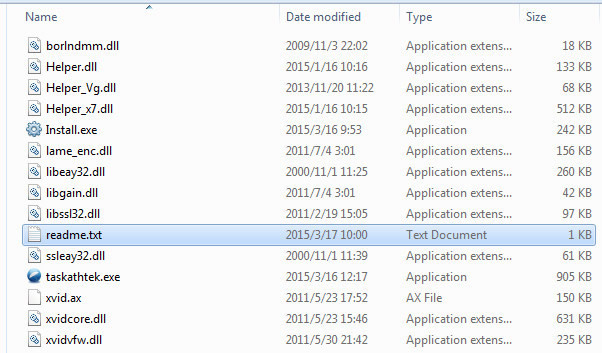 Make sure of that these files cannot be found, modified or removed easily. Double click on Install.exe to install Skype Parental Control to the computer. You will be asked to choose hotkeys to revive SkypePC program. The default hotkeys are Ctrl + Alt + Shift + X. After installation, program will ask you to set an unlock password. 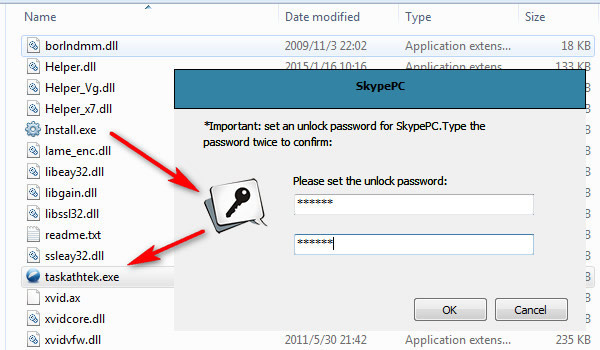 Once setup, password will be required when you want to revive SkypePC to desktop. All done!